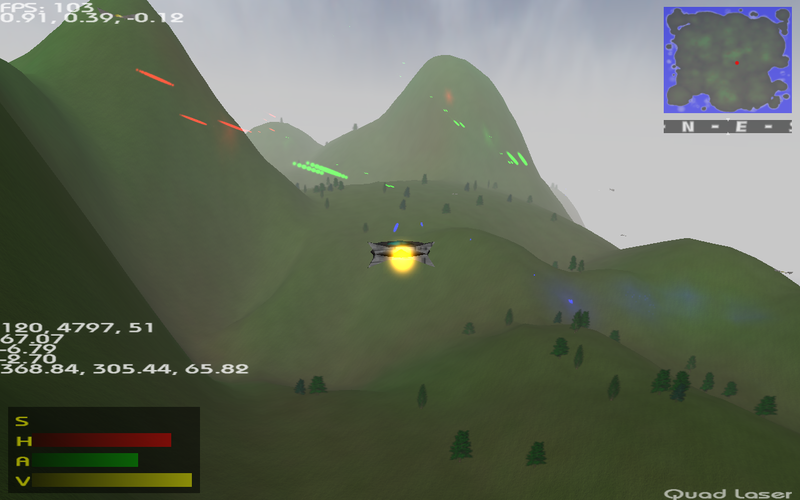 Velocity is an old project of mine that was never really finished, a simple heightmap-based Terminal Velocity clone (hence the name and tagline :P). It was the first real 3d engine I ever wrote in OpenGL, and even now it's still probably the closest I've got to anything resembling a game (in 3d, at least). 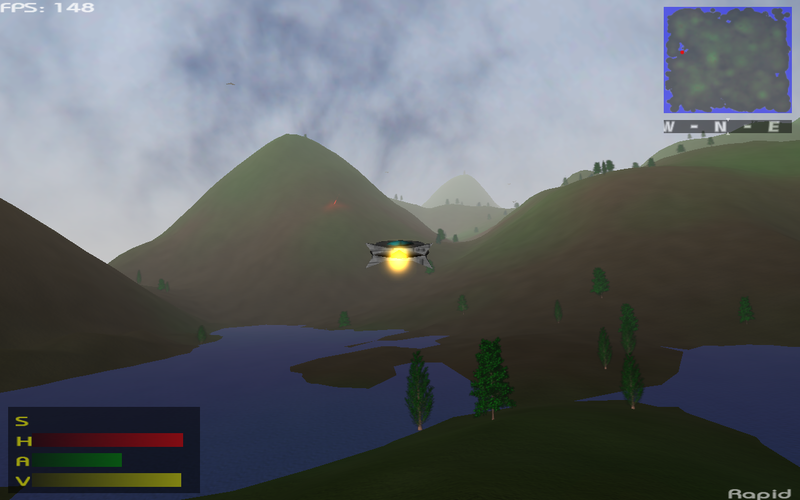 The engine itself featured some basic procedural terrain generation and tree placement, water & skybox, simple vertex-based dynamic lighting and a basic particle system, among other things. Gameplay wise you would control your ship in a similar fashion to Terminal Velocity, with access to various weapons, etc. 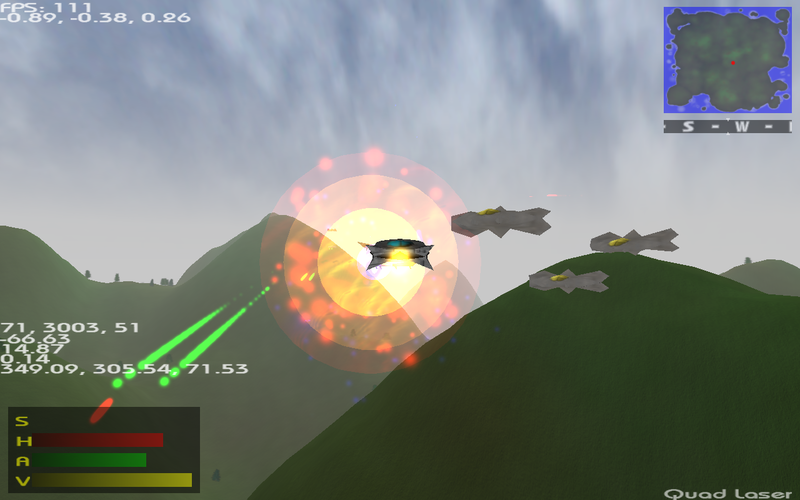 I also implemented enemy ships with some very basic AI which you could shoot down. 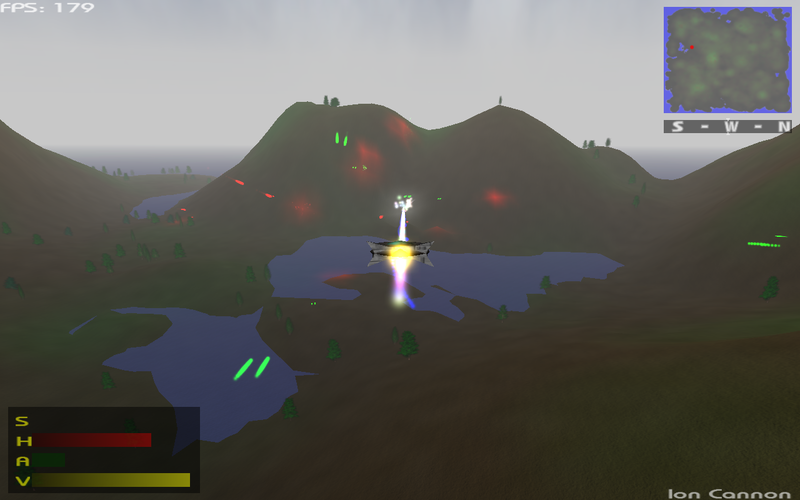 That is about the extent of the gameplay I ended up implementing. 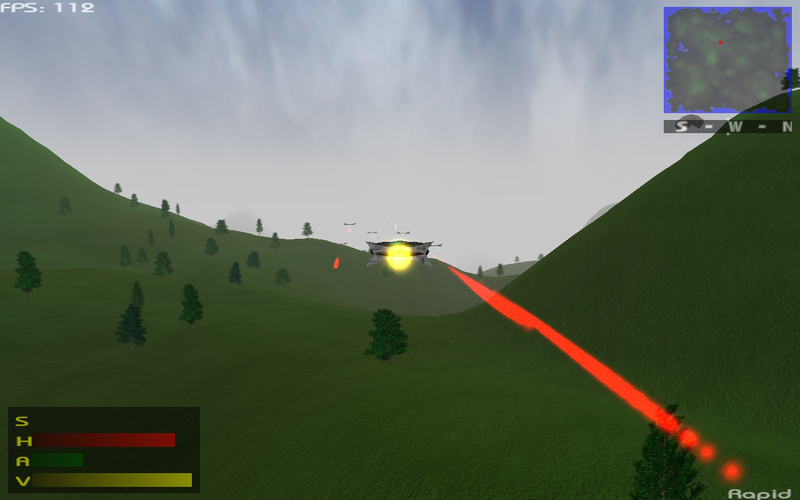 The project has been pretty much abandoned for many years now, and if I ever decided to revisit it I'd likely just rebuild it, perhaps in Voxigine instead. For those interested for whatever reason, the last (and only) beta release of the game can be downloaded here, and the source code here.